From the start of 2014 the Office of Gas and Electricity Markets (Ofgem) introduced a ban on the “complex tariffs” regularly offered by UK suppliers. For example, the Big Six and other gas and electricity suppliers are no longer allowed to offer a high initial rate that falls as the consumer’s consumption increases. Instead providers are now only allowed to have a single structure for tariffs comprising a unit rate and a standing charge, the latter of which can be zero. Energy suppliers are also banned from automatically rolling householders on to another fixed-term offer when their current contract ends. The goal of the new rules is to make energy tariffs more consistent and easier for consumers to compare. Further reforms in the energy market are due to take effect in April 2014. Among others, gas and electricity suppliers will be required to tell consumers regularly in writing which of their tariffs is cheapest for them on bills, annual statements and other communications. 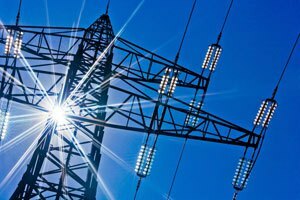 Ofgem’s January ban on complex tariffs follows up on new consumer protection rules put in place last October which prevented suppliers from increasing prices on fixed-term tariffs or making other changes to fixed-term contracts which are disadvantageous to customers.